We're a Certified Sweeping Company, a member of NFIB and, most importantly, will do a great job for you! Quiet Sweep has been serving the Maryland, Virginia and Washington DC area since 1992. 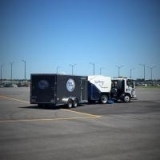 We perform all types of sweeping as well as janitorial service. 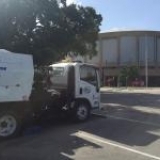 We effectively provide street sweeping and parking lot sweeping services to the York, Lancaster, Harrisburg PA, and surrounding areas.